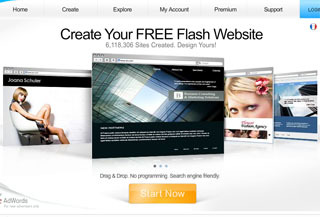 Create Your Free Flash Website! A small but growing start-up, we love it when you use Wix to make your own fabulous websites and other Flash creations. And it’s thanks to the support and feedback from users like you that Wix continues to evolve! Vanaf heden adverteert Wix op onze site, bedankt daarvoor!